MUST CALL OFFICE TO BOOK THIS ITEM. $800. 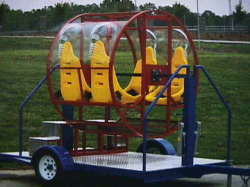 Explore the world upside down in this 4 person ride that swings until you are tumbling upside down and around. Suggest age 8 and up with minimum ht of 42". Set up area is a minimum of 16'x16'x12'. Can be used indoors if space allows and entrance is at least 8' wide. 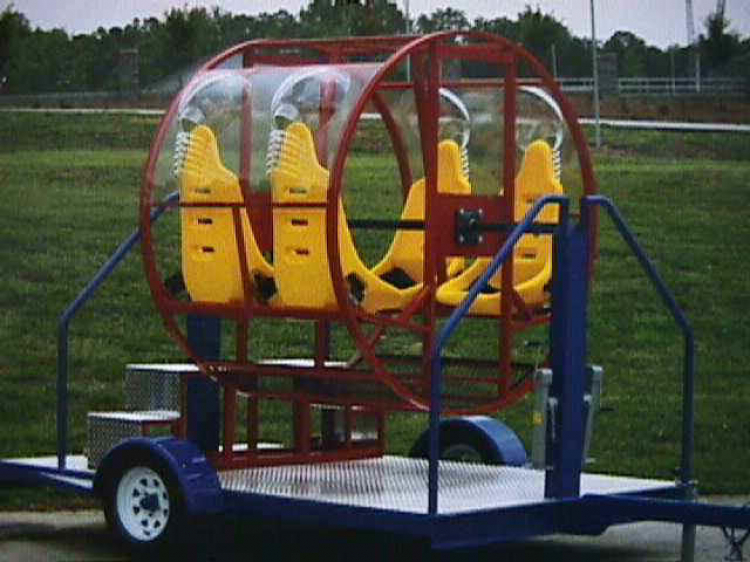 This is a 4 hour rental operated by Metz Amusements. MUST CALL OFFICE TO BOOK THIS ITEM.